In India it is very common to have a natal chart or a customized horoscope made based on the time and location of the individual born. The chart is made to understand the individual’s characteristics and what does the future hold for them! The chart shows the positions of the sun, moon, planets, and potentially other celestial objects, all referred to as the native’s “planets,” within the frames of references defined by the astrological signs and houses. The astrologers they decipher the chart for an individual by taking in consideration many aspects such as the angle between the planets and many other things. Believe it or not planetary movements and planets have a huge impact on a person’s life; hence many people fear the mercury retrograde or for that matter even the Jupiter retrograde which lasts much longer! Irrespective of us having a customized birth chart made or not, it is always a good idea to send Reiki healing to the planets and also to the Sun and the Moon for a smooth and a happy life. While giving healing to the 9 planets, I was nudged to take the Archangels help! There are different Archangels associated with different planets; hence I thought I could make a list for all of us so it would be easier for us to call them while healing. Heal one planet/celestial body per week and call upon the corresponding Archangel to give boost to your healing. 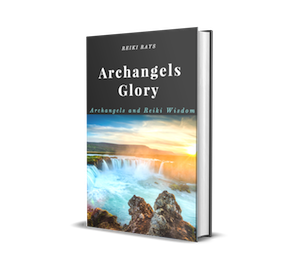 I connect to these Archangels with the distance healing symbol, also when guided I use the crystal corresponding to the Archangel, to make their presence felt stronger. This method has brought many changes in my life, and also helped me connect with many Archangels I did not know a lot about. Do try this method, and please let us know how it changed your life for better!